PREFACE: Why Another Book on the Armenian Question? The British Role, Role of France, America, The Church and the Missionaries . . .
CHAPTER 6––ARMENIAN GENOCIDE - FACT OR FICTION? Was Mass Relocation Motivated by a Genocide Plan? Why so many Armenian Deaths? Was Relocation Justified at all? CHAPTER 8––ARMENIAN GENOCIDE, OR TURKISH GENOCIDE? Shattering the Myth Woven by Propaganda. Modern Techniques and Armenian Propaganda. Why Another Book on the Armenian Question? Hundreds of books are available in the market in almost every country of the world on the various aspects of the Armenian problem on which the attention of the world remained focused for almost the whole of the 20th century. Even today, vested interests are trying to revive this dead issue in the vain hope of achieving certain objectives that their earlier campaigns in that direction had failed to achieve. Most of these books were written either by the Armenian writers or their Western supporters with a pronounced bias against the Turks. In some exceptional cases, efforts have been made by some Western writers to simultaneously highlight the Turkish side of the story as well so as to enable the readers to draw their own conclusions from a fairly balanced presentation of facts. In most cases, however, the express intention of the writers happens to be the condemnation of the Turks, whom they have portrayed as extremely cruel and inhuman barbarians who neither had any respect for human life nor any regard for human rights. A majority of such holders of poisoned pens had specific political motives for maligning the Turks. There were others among them who had been obviously impelled by religious animosity or racial hatred against the Turks who have been carrying the standard of Islam for many centuries. The running theme of all such publications is that the Armenians, while living as a minority community in the Ottoman Empire, were subjected to oppression by their Turkish rulers who ultimately went to the extent of indulging in the genocide of their Armenian subjects through planned mass murders and forced emigration from Anatolia, a region that they claim (of course without any credible evidence) as having been their homeland for many centuries. As evidence to support the allegations of oppression and mass killing of Armenians, lengthy quotes and references are cited from documents, the authenticity of which has become extremely doubtful as a result of subsequent studies and research work undertaken by neutral research workers, both in Turkey and some Western countries. It has now been established that most of these documents were either forged or had been deliberately tampered with. These documents contain false data and manipulated facts specifically tailored by the vested interests with the intent to mislead world opinion. The concerned Armenian circles have been distributing these documents throughout the world in order to create hatred against the Turks and to win sympathy for their so-called “oppressed nation”. Some of the publications written by Armenian writers contain highly inflated figures pertaining to the Armenian population in various Vilayets (provinces) of the Ottoman Empire in a bid to justify the Armenian claims over parts of the Turkish soil. These figures have been challenged, not only by Turkish research scholars and historians but also by a number of Western writers who have based their findings on actual population counts conducted by the official authorities as per records available in the Ottoman archives, and not on the basis of biased guesswork as the Armenians have been doing. 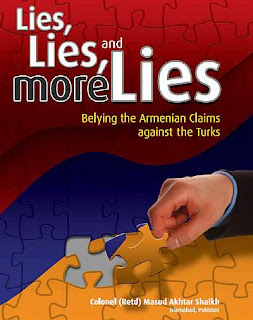 As against the glut of books written by Armenian writers and their overly prejudiced Western supporters, there is an extreme dearth of books written with the intention of giving the Turkish side of the story, and refuting various allegations levelled by the Armenians against the Ottoman rulers and the Turkish people. This is particularly the case as far as books written in the English language are concerned. No doubt many books of this nature are available in Turkish but, with the exception of very few, these do no present comprehensive material on the subject. Most of these are in the form of small pamphlets/booklets, each one of which deals with a specific aspect of the Armenian issue. Being in Turkish, the circulation of these publications is very limited because only the Turkish knowing people can benefit from their contents. As far as the English-speaking world is concerned, these books are not of much value for dispelling the misleading impact created by the pro-Armenian literature that is available in abundance in English. Consequently, the worldwide prejudice against the Turks created by a prolonged all-out propaganda war launched by the advocates of the Armenian cause continues to act against the Turkish interests despite the lapse of almost a century since the relations between the Turks and the Armenians became bitter. Another important point about books presenting the Turkish point of view on the Armenian issue is that from 1915 right up to the early seventies, hardly any book of this nature was written. A vast majority of the publications that do exist today appeared in the market after 1970. Thus, the field was left free for the Armenians to poison the minds of the people of the world with an unchallenged, one-sided picture of the issue under a well-planned onslaught of written propaganda that continued in this form for over fifty years. The Armenians also exploited this silence on the part of the Turks as an admission of their “guilt”. The same impression was created in the minds of many observers in the West. Why did the Turkish quarters, particularly the intellectuals and research workers, fail to come forward to counter the Armenian propaganda for such a long time? There are four main reasons for this apparent default on their part. These are discussed below. Firstly, for a period extending to almost a whole decade, the entire Turkish nation remained fully committed, first in a struggle for survival while fighting against the Allied forces till the end of the First World War, and thereafter getting bogged down in the colossal task of post-war reconstruction of their country. The war had played havoc with the country’s economic and manpower resources, in addition to widespread devastation of the administrative and logistical infrastructure. As if that was not enough of a catastrophe, the War of Independence followed on the heels of the First World War, destroying whatever little had escaped devastation during the Great War. The period following the establishment of the Turkish Republic under the leadership of Mustafa Kemal Atatürk was full of problems demanding immediate attention at the national level. This kept the entire Turkish nation fully committed to national reconstruction and the restoration of normalcy in every field. Under these circumstances, the rebuttal of Armenian allegations through voluminous research-based publications could wait for better times. Secondly, Atatürk, the architect of the Turkish Republic that was raised on the ruins of the Ottoman Empire, firmly believed in his motto “Peace at home and peace in the world”. He exhorted the nation to follow this edict faithfully. In pursuance of this policy, he believed in forgetting the past so as to prevent it from casting its ugly shadows on a peaceful present and a prosperous future. He firmly believed that the Treaty of Lausanne (1923) had closed the accounts of the past and, therefore, these should not be reopened. While the people of the Turkish Republic faithfully followed this policy of their leader by not touching the unpleasant Armenian issue, the Armenian politicians made full use of the silence of the other party to the dispute and remained fully engaged with a rigorous propaganda campaign on a worldwide scale to malign the Turks as much as they could. Thirdly, since all the Armenian accusations were against the Ottoman Empire and officials acting on behalf of the Ottoman state that had been replaced by the Turkish Republic, the intellectuals, historians, and officials forming part of the Turkish Republic did not consider it necessary to defend a state that had ceased to exist. They genuinely assumed that since the Armenian charges were not targeted at them or their state, it was not their responsibility to counter these charges. Hence, there was no response from the Turkish official or non-official quarters. Fourthly, the rebuttal of Armenian allegations against Turkey and the Turks had to be based on authentic evidence, most of which was lying hidden in tons and tons of uncategorized Ottoman archives. A colossal operation was required in order to categorize these archives and dig out the relevant data from millions of files. This involved a massive manpower duly trained in the subject and huge financial resources which were not available for many long years after the liquidation of the Ottoman Empire. After the required resources did become available, it was realized that the Ottoman archives, all being in the Arabic script, could not be decoded by the new generation of Turkish scholars who were not familiar with the discarded script. The above reasons forced Turkish scholars to keep silent right up to the mid-1970’s. By then, a number of handicaps had been overcome. In addition, the Armenian terrorists created conditions that compelled Turkish researchers and writers to take up the pen on the subject of the Armenian issue. That was the time when the Armenians started launching terrorist attacks against Turkish diplomats posted in various countries of the world and members of their families. A large number of these innocent Turks became victims of the bullets of Armenian assassins who had been nourished on hatred against the Turks and had solemnly pledged to avenge the so-called massacre of their ancestors at the hands of the Ottoman Turks. In the meantime, publications presenting the Turkish side of the tragic story reached the world market and started dispelling many of the mistaken beliefs that had been propagated by the Armenians against the Turks. The universal condemnation of these terrorist attacks ultimately brought this nefarious activity to an end. However, thanks to the highly powerful propaganda machinery of the Armenians and their Western supporters, the vilification campaign against Turkey continues to this day. As against this, the number of publications written in English and containing the Turkish point of view on the subject is still almost negligible. As a result, a very large number of people in the world continue to believe that the Armenians are the most oppressed nation in the world, and that the Ottoman Turks subjected them to genocide for which the Turkish Republic should accept responsibility. In view of the foregoing, there is a positive need to keep countering the Armenian propaganda through publications that provide evidence of how the Armenians, with a series of ulterior motives, have successfully created the humbug of genocide on the basis of concocted facts and figures and fake documents. Not only that; it should be brought to the notice of the entire mankind how the Armenian propaganda has succeeded in hiding from the eyes of the world, the heinous crimes they committed against millions of innocent Turks whom they tortured in unimaginable ways before killing them. Ottoman archives are full of documents that bear testimony to the fact that it was the Armenians who subjected the Turks to genocide and not vice versa, as claimed by the Armenians. As far as the Armenian issue is concerned, truth remains buried under a thick blanket of lies woven by mighty Armenian propaganda. This blanket must be lifted at the earliest so that truth is made known to the whole world. Today, even in a country like Pakistan which has centuries-old friendly relations with Turkey, utter ignorance on the Armenian question prevails among the public in general and the media in particular. Consequently, every now and then, the press in Pakistan quite innocently picks up for its readers, highly prejudiced articles published in the Western press or contributed by malicious Armenian sources merely to willfully malign the Turks and the Turkish Republic. The gullible Pakistani readers readily accept the contents of these articles as gospel truth, thus falling prey to the clever Armenian propaganda. Hence, there is an urgent need for enlightening the people throughout the world about the real facts of history by lifting the blanket of lies under which truth has remained hidden to this day. To be effective at the international level, it is essential that publications containing the Turkish point of view on the Armenian issue should be written in English language, which is understood by intellectuals throughout the world. The present book is a humble attempt in this direction. . . This book is copyrighted. 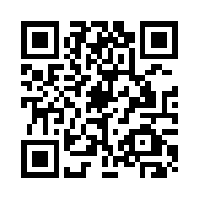 You may view and download the file, but you may not copy, publish, share or forward it to any other person. Suggested citation: Masud Akhtar Shaikh: Lies, Lies, and more Lies Belying the Armenian Claims against the Turks.